When you make your clients happy, they will always turn to you again for their next project. This is what happened for our Marangaroo Project. 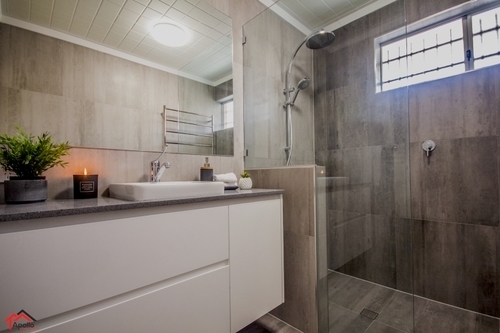 Like a lot of the bathrooms we see built in the late 90’s our clients’ bathroom was dated and was no longer functional. 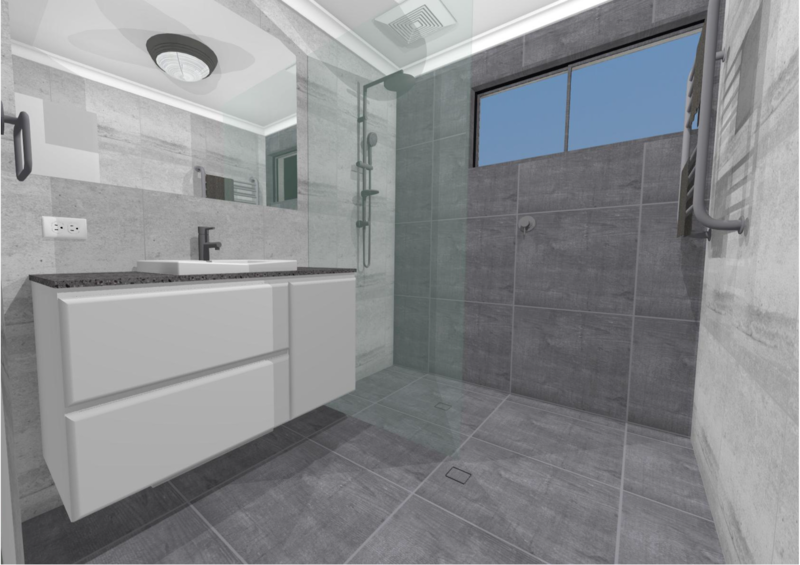 With our functional design techniques, we were able to re position the location of the shower and the vanities to create a hobless walk in shower that is sleek, spacious and modern. 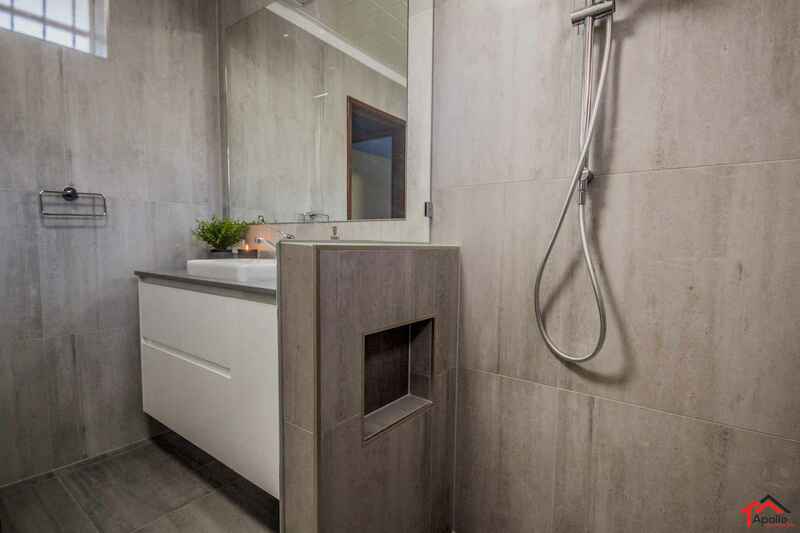 A generous 1200mm wall hung vanity compliments the space, and allows ample storage. 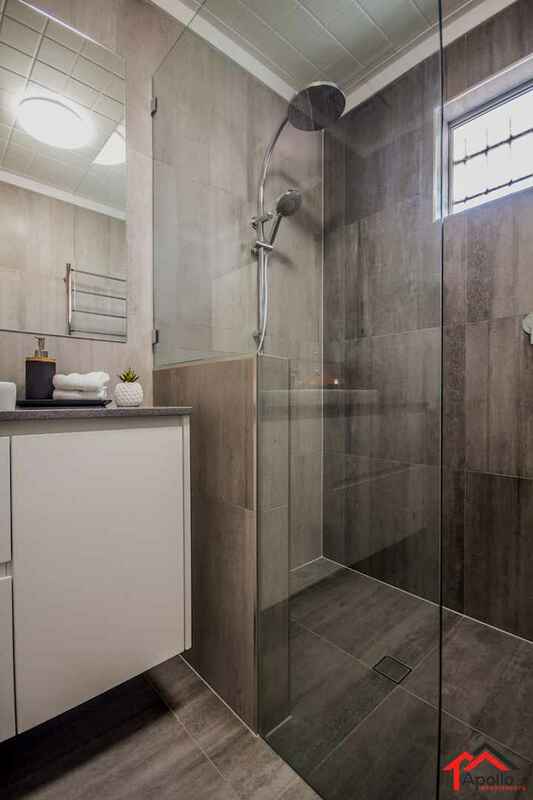 With a niche recessed into the nibwall, there is no shortage of storage in the shower recess. 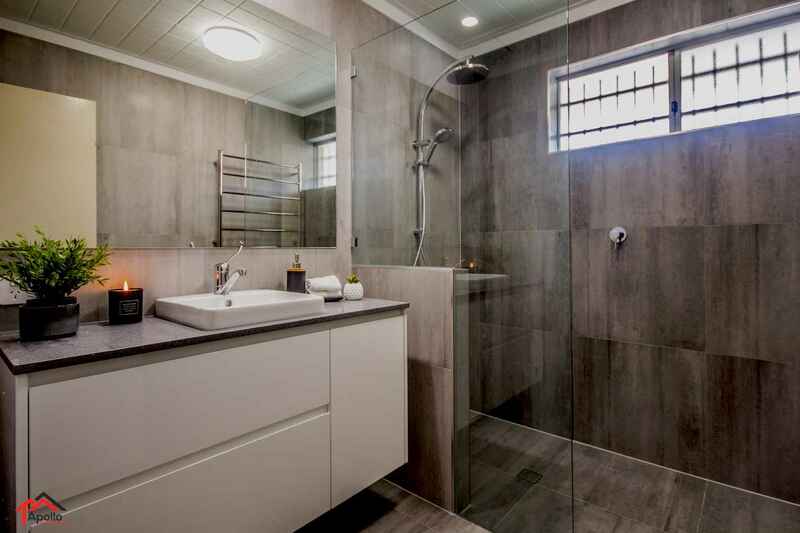 600×600 porcelain wall and floor tiles, in a dark grey and mid grey tone create a feeling of space and warmth. 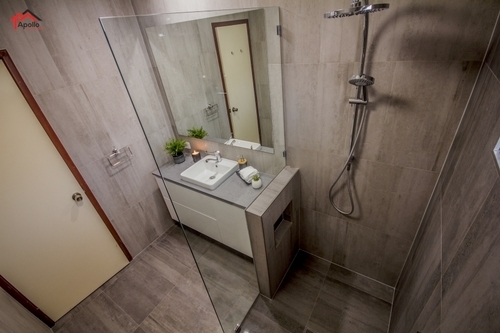 Again we have specified Phoenix tapware for our mixers and shower heads. Why? Because they are a proven performer, they are sleek and stylish, and provide a 15 year mixer cartridge warranty and a 7 year product and part replacement warranty.